When Model D set out to write a story on Detroit hunger relief nonprofits Gleaners Community Food Bank and Forgotten Harvest, "frenemies" was a word we bandied about to describe their unique relationship. Let's just say the leadership at both organizations strongly disagreed with that characterization. Merriam-Webster defines "frenemy" as "one who pretends to be a friend but is actually an enemy." But Forgotten Harvest CEO Kirk Mayes says there's no pretending—and most importantly, no hidden enmity—between the two organizations. Mayes and Gleaners president Gerry Brisson have made promotional videos and public appearances together, but Mayes says their relationship runs much deeper than PR stunts. "What the rest of the world is not privy to is all the shots of scotch we've shared with each other," Mayes says. "Him coming to my house and spending time with my family, me going to his house and spending time with his family, ... me calling Gerry when I'm pissed about something and giving him a piece of my mind, him calming me down and bringing me off the fences. ... That's our relationship, and that's not a game. That's not manipulation. That's authentic." Brisson says a truly friendly relationship between the two organizations is vital no matter who's heading them up. "There's a handful of people that I turn to for personal and professional support and encouragement and hope and thought leadership. And Kirk is one of them," he says. "Now, that's just the luck of the draw. It didn't have to be that way. And if Kirk wasn't [CEO], I would have still sought him out because of our roles in this community and because it's important for us to work together." The relationship between Gleaners and Forgotten Harvest, however, hasn't always been this way. When Mayes joined Forgotten Harvest three years ago, he recalls hearing tales of past disputes "that have a legendary kind of folklore." Mike Spicer, Forgotten Harvest's VP of operations, takes that one step further. "To me it was Ohio State and Michigan," he says. "It was like a 10-year war. I don't want to go as far as 'hatred,' but there was such a distrust and such a rivalry, that it really was hard to comprehend how it got that way." The reasons for that divide were not totally irrational, rooted largely in the two organizations' differing models and bigger-picture national trends. Gleaners, founded in 1977, has a food bank model that solicits donations of food to be inventoried and then delivered to emergency food providers throughout Detroit. 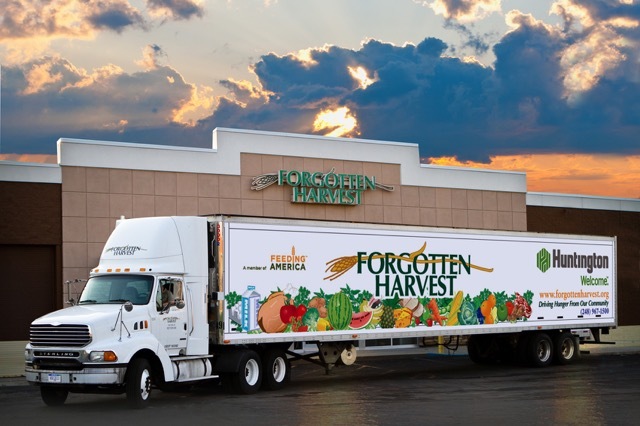 Forgotten Harvest, founded in 1990, employs a food rescue model focused on actively collecting food that would otherwise go to waste from restaurants, stores, and other operations, and then delivering it to emergency food providers. The organizations have the same goal of easing food insecurity in Detroit, but significantly different ways of going about it. The lines between those models began to significantly blur at the national level in 2001, when the food bank America's Second Harvest merged with Foodchain, then the nation's largest food rescue. The merged organization is now known as Feeding America. Across the country, numerous other food banks and food rescues that overlapped in metropolitan areas followed suit and merged operations. But in Detroit, Mayes says, "We weren't really conducive to this idea of getting off our boat to follow this other song, although it was part of the same overall chorus." "You have entrenched people on both sides who feel like they should be in charge," Brisson says. "Rather than taking a step backward and just saying, 'Let's look at this at face value,' there was just some immediate entrenchment. Now, you can't reinvent history, so I prefer not to indict anyone for that. People were trying to figure it out." And in the end, Brisson and Mayes agree that it's a good thing the organizations stayed—and will remain—separate entities. Before the national conversation about mergers began, Gleaners was distributing 18 to 20 million pounds of food per year and Forgotten Harvest was distributing five to 10 million. Today, both are distributing over 40 million pounds per year. Brisson and Mayes say that's proof positive that the two organizations are continuing to address a massive need in unique ways that a single organization probably couldn't. "It actually leaves the question right now: What if the national organizations had held their ground?" Mayes says. Brisson, who has worked with Gleaners since 2006, says relations between the two organizations began to thaw somewhat after the Great Recession. 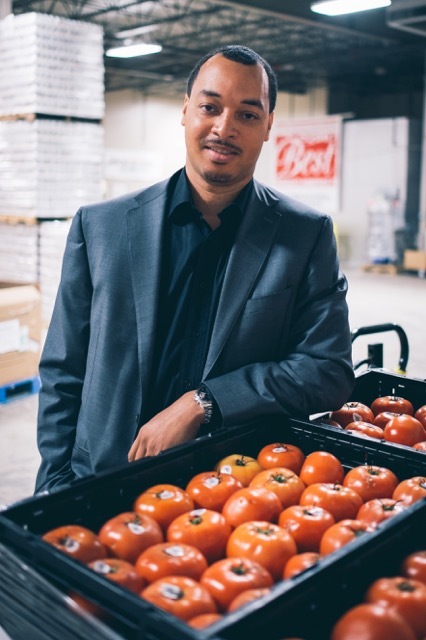 But when Mayes took the CEO role at Forgotten Harvest just a few months after Brisson became president of Gleaners in 2014, both men took it as an opportunity to forge a wholly new path. They met at a Food Bank Council of Michigan meeting that year and immediately established a friendship. "Fundamentally, it's not the right position to say, 'I need to get market share in the donor world away from Forgotten Harvest to grow [Gleaners],'" Brisson says. 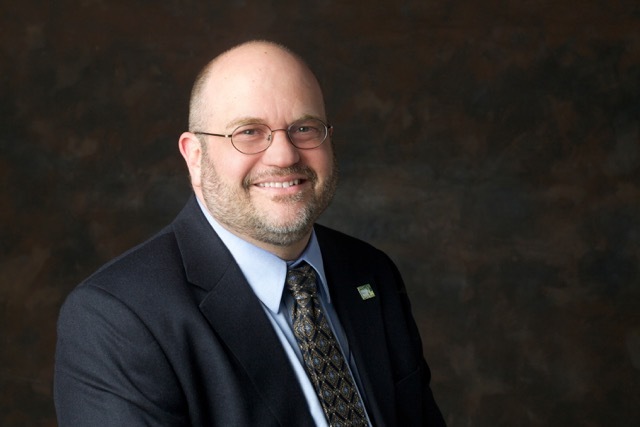 "If I do that, [the result is] net zero for the community. We were both just predisposed to that idea, and I don't think it took two minutes of conversation to say, 'We need to get on this. We're both here. Let's start moving in that direction.'" The transition hasn't been immediate. Spicer describes an "old guard" who are still used to a less collaborative model, and Mayes says "there's people within my shop who still don't think it's real." But Forgotten Harvest and Gleaners have pursued numerous collaborative initiatives regardless. For instance, in 2015 the two organizations decided to make a joint proposal for a PepsiCo grant they otherwise would have competed for. Their proposal was successful and each organization got a new truck courtesy of Pepsi as a result. Last year, they partnered on Gleaners' Healthy Pantry Initiative, which is aimed at increasing the availability of fresh fruits and vegetables in Gleaners' partner agencies. Forgotten Harvest now delivers five to six pallets of food to Gleaners per week, adding up to about 500,000 pounds of food since the initiative began about a year ago. Even more recently, the organizations collaborated to research and implement the same client data management system, Link2Feed, so they can both track the reach and effectiveness of their own and each other's programs. Gleaners chief operating officer Julie Beamer says Brisson and Mayes have "set the tone" for these and other collaborations from the top down. "We have the same mission, which is: How do we bring this community to full food security?" she says. "We don't have any baggage from the organizations in the past, so there's some pretty cool things that we're doing together." 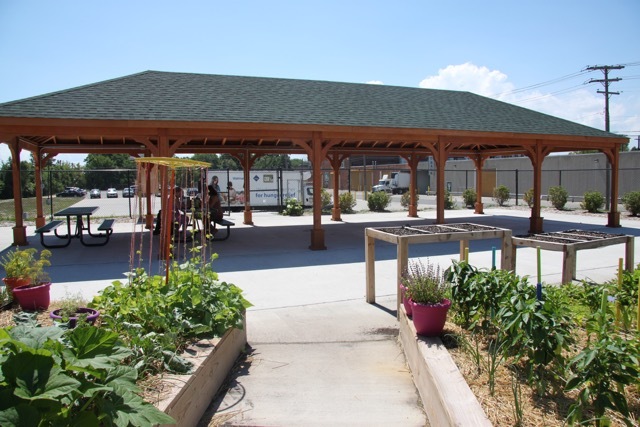 And through those partnerships, Mayes believes the two organizations are working on what will be "a groundbreaking effort to reduce food insecurity in southeast Michigan." "We actually have the desire and will to get this done, and we've got some tools in these organizations and a community of people," he says. "We think once they start paying attention to a unified message, they'll start understanding that this is very possible. This is a finite problem as far as our backyard is concerned." Read more articles by Patrick Dunn. Patrick Dunn is the managing editor of Concentrate and an Ann Arbor-based freelance writer for numerous publications. Follow him on Twitter @patrickdunnhere.